Bedrooms: 4 "with den and own TB"
Size: 400 sq. m. "or 4,736 sq ft floor area"
Newly Ownerbuilt Zen 2 story house with high ceiling living room . Comes with modern kitchen with granite island and countertop. Japanese den with own toilet and bath. Currently working on their extra judicial settlement. Let me know interested. For viewing pleasure, please click virtual tour on the left menu. For more info or schedule tripping, please call +639175201055 or email me. 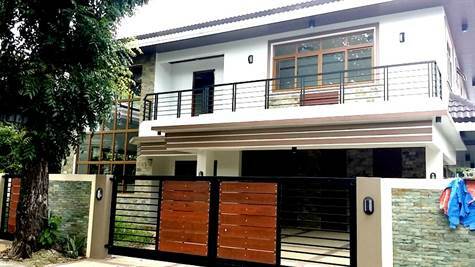 It is an exclusive village developed by Ayala Land Inc. in the south of Metro Manila with total lot area of 694 hectares subdivision of gently rolling lands. It is about 18 kilometers south of Makati and 30 minutes drive under normal traffic conditions on the South Superhighway.